Tasmania's pristine natural environment and changing cultural landscape is being showcased at the Tasmanian Museum and Art Gallery (TMAG) in a stunning new exhibition opened today. 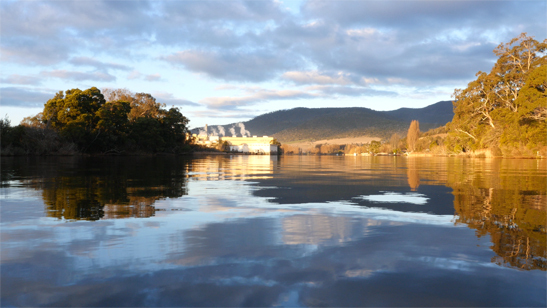 The Derwent features contemporary videos and photographs by Tasmanian artists David Stephenson and Martin Walch of the River Derwent, along with several historic panoramas and photographic works from TMAG’s collection. Stephenson and Walch’s immersive videos and time-lapse photographs reveal the diverse environments and usages of the river – from the wilderness areas at the headwaters to Hydro reservoirs, industrial zones and the brightly lit banks of the city of Hobart. To create this body of work Stephenson and Walch collaborated over a five year period and experimented with new photographic and audio visual equipment and techniques. 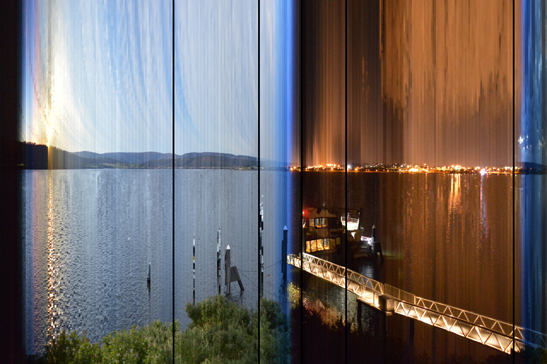 Exploring Tasmania's River Derwent and its hydro-electric developments, the artists have created innovative approaches to digital photography and video that represent environmental changes over an entire watershed. Through The Derwent exhibition, Stephenson and Walch aim to convey an intimate and immersive experience of this complex river and its dynamic physical and cultural environments. Their large-scale immersive artworks offer a compelling experience for viewers, providing new visual models for understanding and valuing both natural and human-altered environments. The historic works from TMAG’s collection add richness to the exhibition by providing insights into colonial depictions of the Derwent river system. The artists’ research was supported by research grants from the University of Tasmania and the Australian Research Council. Hydro Tasmania has generously supported TMAG as a major partner to stage The Derwent and associated programming and events. Accompanying the exhibition is a screen display in the Argyle Foyer that presents the results of the Hydro Tasmania The Derwent Photography project. 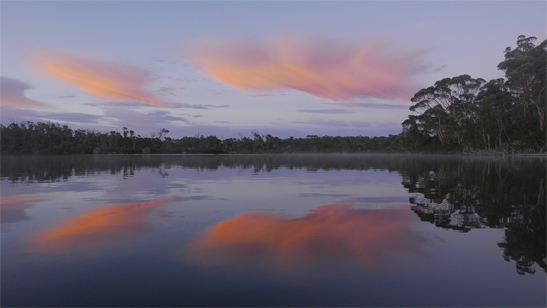 In this display, visitors can view a selection of work by Tasmanian high-school students who were invited to share their landscape photographs of Tasmanian rivers and waterways via Instagram. Hydro Tasmania is also supporting a schools outreach program and will present a number of public programs, including a special Family Day and Symposium, in association with the exhibition. The Derwent is on show in Argyle Galleries 1-3 from Friday, 28 July – Sunday, 5 November 2017. For more information and public program details, visit the exhibition web page.